I own 3 rentals in the Seagrove/Rosemary beach area. My experience spans up to 15 years in renting.This is a great area for family vacations. Great white sand beaches clear blue/green waters! What more could one ask for. toilet, combination tub/shower, Has double vanities. toilet, shower, jetted tub, Master bath with double sinks. toilet, 2nd floor Powder room. Great Views only a 1 minute walk to the beach! 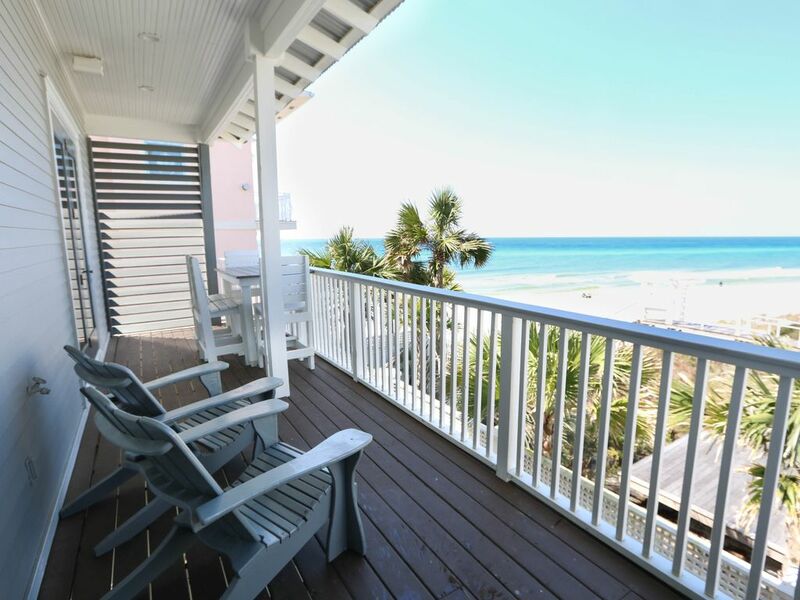 Great sweeping views of the Gulf and the Beach! You can see Destin on a clear day! Watch Dolphins play in the crystal clear Gulf waters! Parking for 3 cars in driveway. On street parking is avaliable on a first come basis. Dining table holds 8 and breakfast bar island seats 6. (2) Pool closest to home is heated. Secluded yet close to everything. Wonderful gulf views from all 3 floors and also walking distance to eastern lake. Thanks Macy for taking such good care of my Beach house! Fantastic Property - beautiful views of the water. Great big family room and kitchen. Great for large families. Very easy and short walk to beach and pool. I hope to book again next year. Great house for large families to enjoy a beach vacation together! We had 3 families and grandma and the house fit us perfectly! Love the proximity to the beach and the pool. The double fridges and ice maker a huge bonus! Thank you Ashley for the review and taking such good care of our home, please visit again soon! Third time here. Great location. Near beach. Pool is nice for the afternoon. Bicycle ride to town. Perfect for the family.